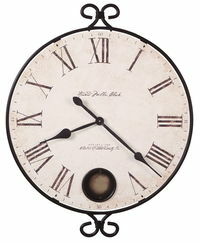 Wrought iron wall clock with cast decorative corner ornaments finished in warm gray, dusty wax highlights. 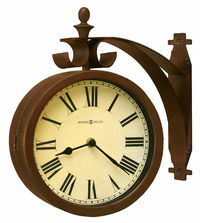 Windsor Cherry-finished wood columns provide a warm accent on each side. 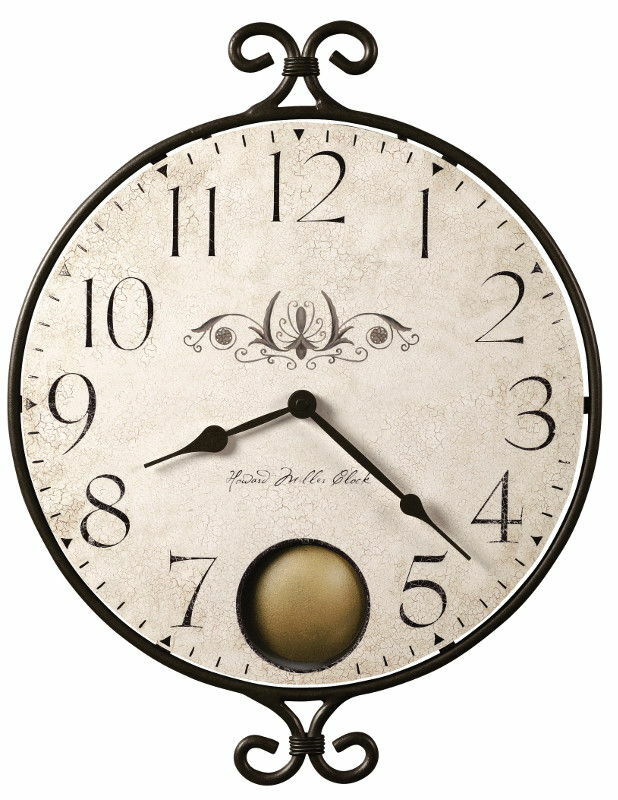 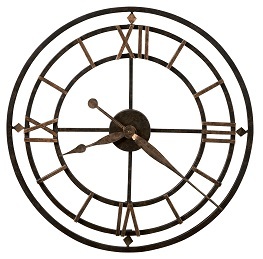 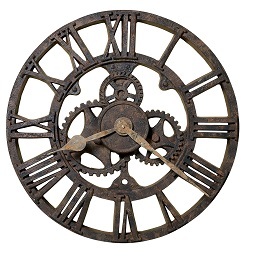 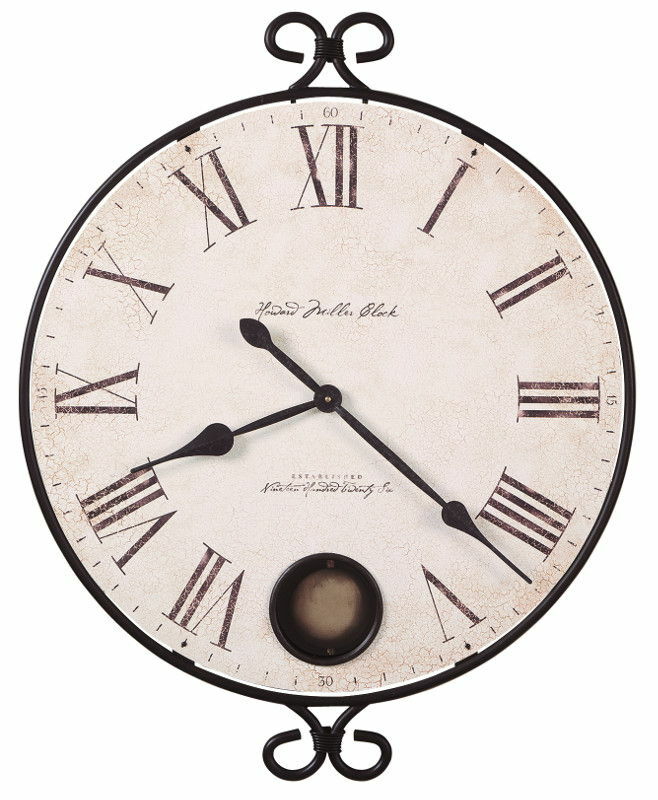 A unique wall clock combining metal and wood in a fashionable design. 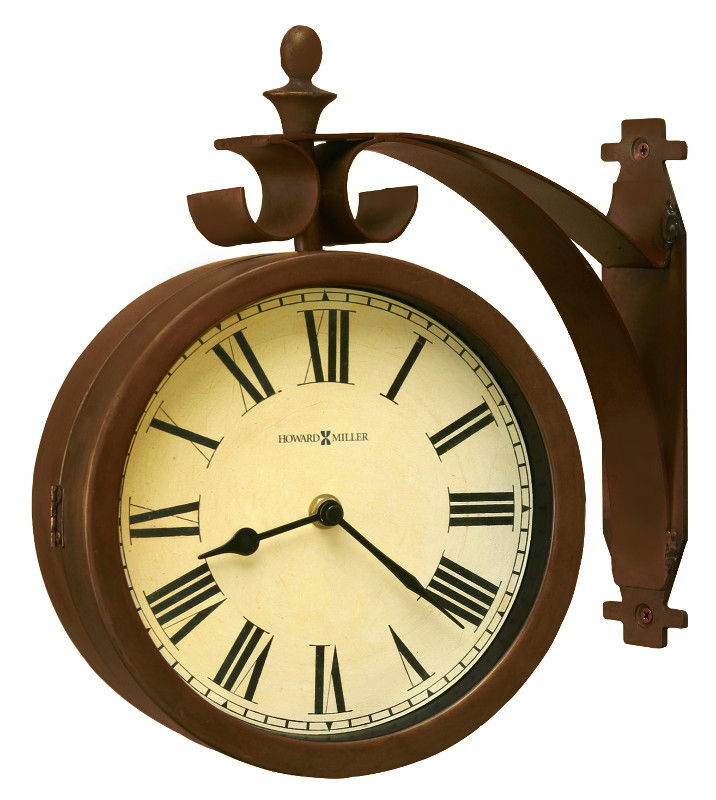 The arched top wood "frame" is finished in cherry, with antique gold-finished bent metal wire supporting the dial. 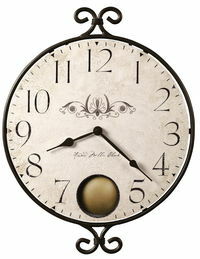 The pendulum bob is finished in antique gold, suspended on a cherry-finshed wood pendulum. 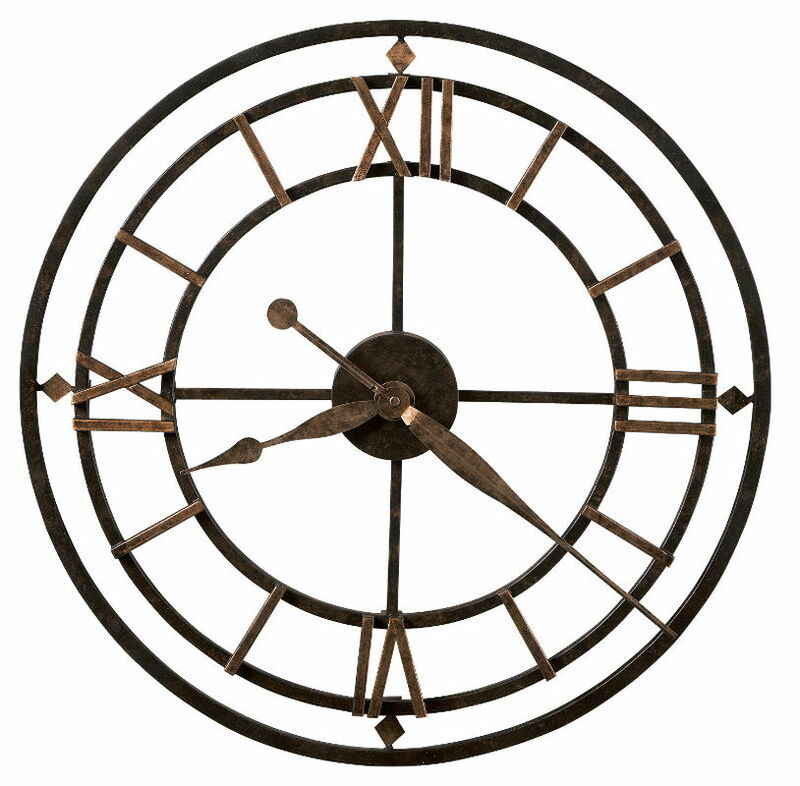 An antique gold-finished bezel surrounds the aged dial which features two-tone Arabic numerals, serpentine hands, and convex glass crystal.